June | 2016 | 2Culture Associates Ltd.
During LoCloud training workshops I established my own digital library using the LoCloud Collections service. 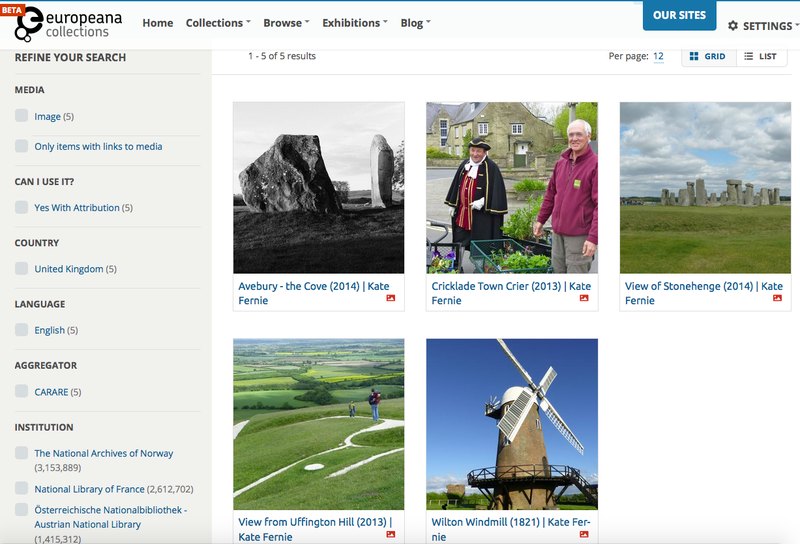 It was easy to set up the digital library and, taking advantage of the free storage plan, I uploaded a small collection of my own photographs of Wiltshire Heritage. I uploaded five images and created simple metadata records using the management interface. The LoCloud Collections service then allowed me to design the template for my collections website, which you can see at https://2culture.locloudhosting.net/. The really cool part of the LoCloud collections service is that it automatically creates a remote harvesting target for each new collection. 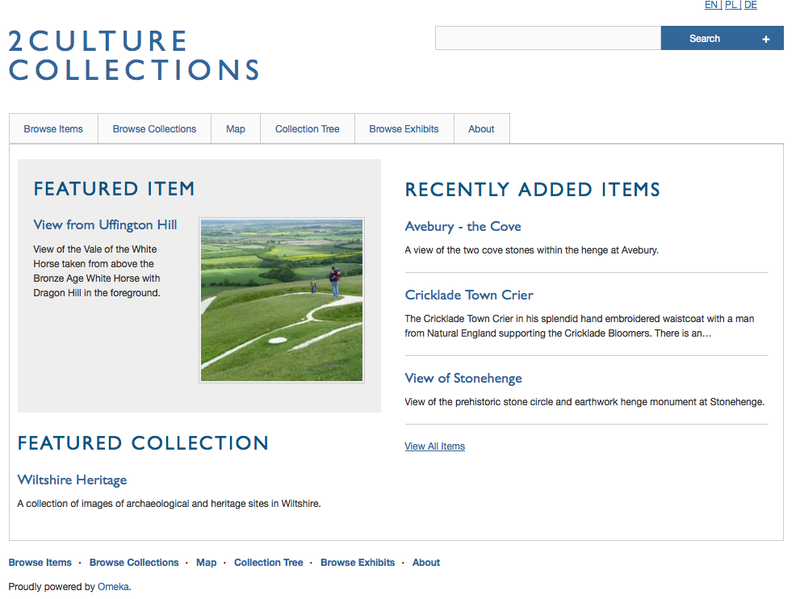 Recently we put this service to the test, harvesting the 2Culture Collection’s target using the MORe aggregation service established for CARARE. The metadata was harvested as Omeka-XML, transformed to EDM using a metadata mapping, then enriched before being provided to Europeana.